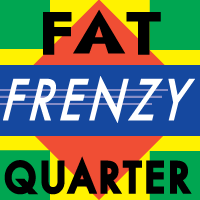 Bee sure to take advantage of our Annual Fat Quarter Frenzy. Buy Two Get One Free on all Fat Quarters, through Sunday. It's our quilters candy. They're awfully sweet. Girls Day Out with Roxanne, Friday, 1/13/17, 10a-1p, $20. Space available. Get the help you need from Roxanne on any project, or start her new BOM. Blue Friday Special on Seahawks fabric. 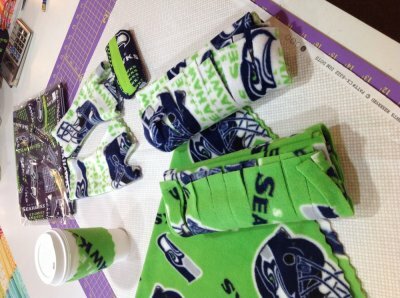 Seahawks logo fabric, coordinates and kits, 25% off this weekend. 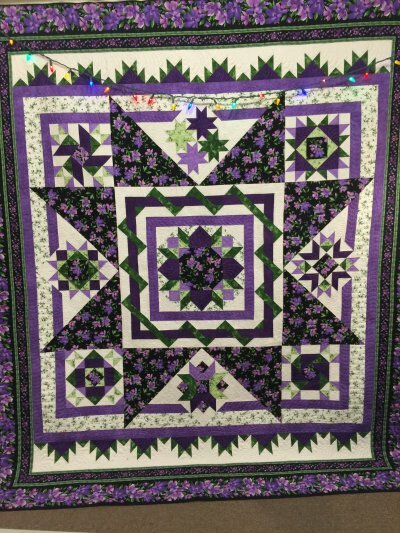 Beginning Quiltmaking with Desa Omli, starts January 19th, 8 weeks, $160. Just a few spots left. 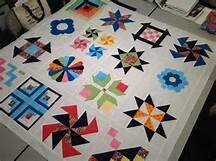 Sign up today and start to quilt in this new year.